Max, under the music producer name Lemurian and known as the spiritual DJ, creates unique and one of a kind sounds for meditation and yoga, amongst many of his other talents. Lemurian’s music represents the sounds of ancient civilizations, by creating the fusion of Icaros and ceremonial mantras with Electronic music. His style is a connection of ancestral frequencies with slow techno, Andes steps, latin rhythms and shamanic psychedelia. 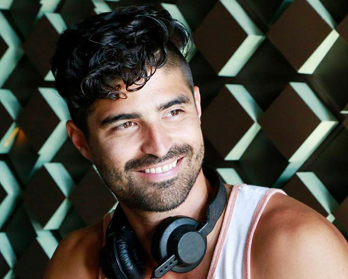 Max enthusiastic joins D2D to produce exclusive music for meditation and yoga, available for streaming only on the dare2detox music app that will be available at some of South Florida’s most luxurious hotels and resorts.